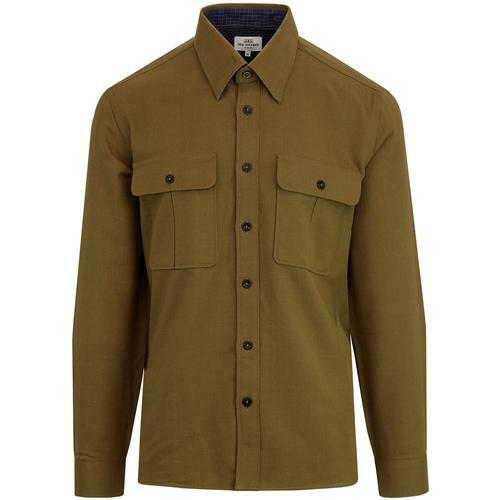 Pretty Green Men's Retro Audio Stripe overshirt crafted from a sublime Vintage textured brushed cotton. Inspired by the era of Pirate Radio and the need to layer up in cold climes, especially in choppy conditions out at sea! 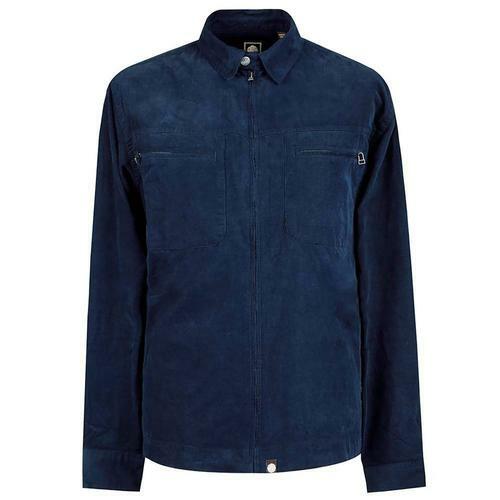 This Pretty Green Audio Stripe shirt jacket benefits from classic button placket, practical patch pocket details and 1960s Mod point fold down collar. Incorporating a stylish 60s Mod multi stripe pattern that serves as an abstract take on radio waves and is a homage to 1960s offshore pirate radio stations such as Radio Caroline. 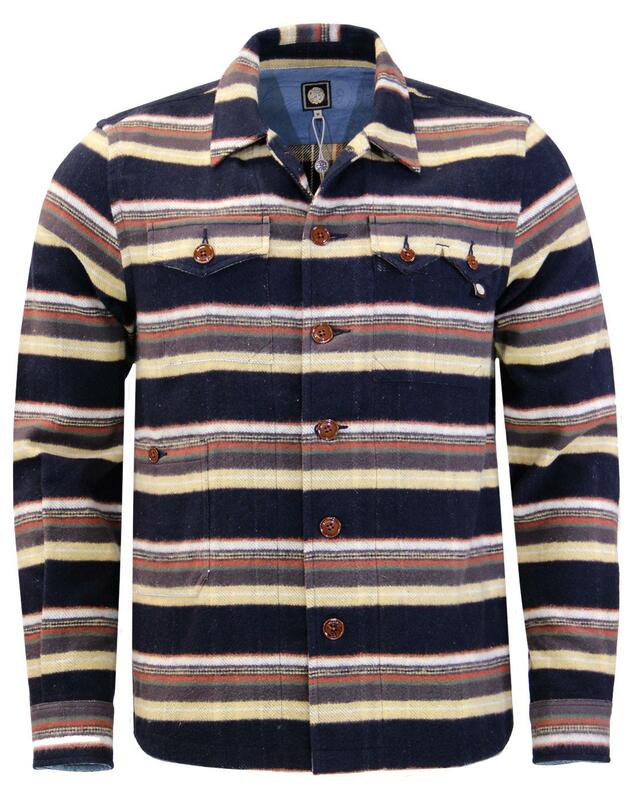 This Pretty Green Audio Stripe Retro overshirt jacket is in tune with todays Indie fashions whilst offering a smattering of traditional 1960s Mod style! 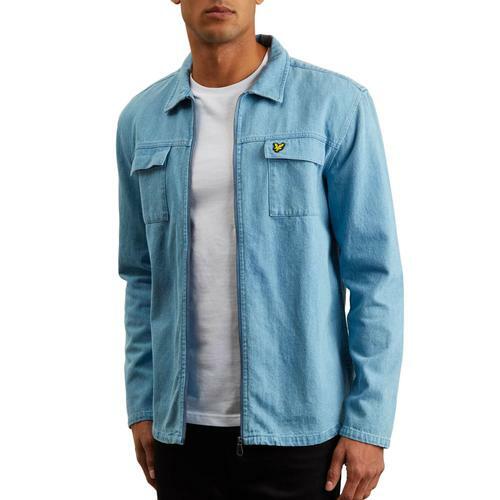 - Pretty Green Audio Stripe men's retro textured overshirt lightweight jacket in navy. - Perfect for layering on colder days. - Textured brushed cotton construction. - Practical patch pocket details. - Stripes inspired by radio waves - a homage to 1960s Pirate Radio stations. - Single button cuff fastening. 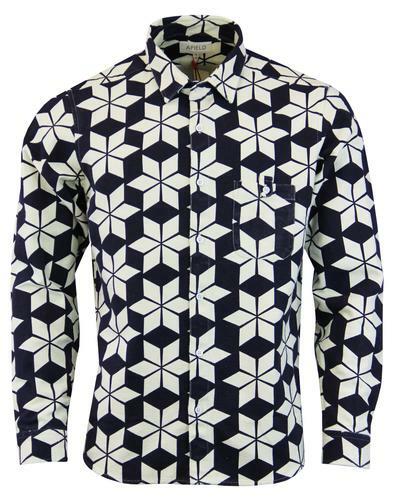 - Pretty Green signature branded trims. - SKU: S8GMU54799513 Striped Overshirt Jacket. Care: Machine wash. 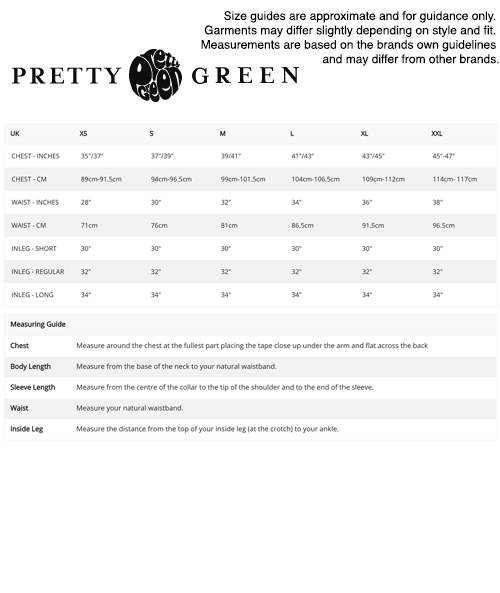 Please refer to garment care label. Please Note: Due to the natural characteristics of the yarn on this garment, some pilling may occur after wear. This is not to be considered a fault on te garment.